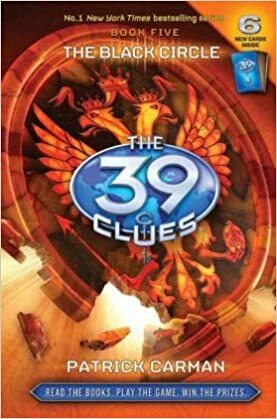 The highly anticipated Book Five of the #1 bestselling The 39 Clues series. A strange telegram lures fourteen-year-old Amy Cahill and her younger brother, Dan, deep into Russia and away from the only trustworthy adult they know. Signed with the initials NRR, the telegram launches a race to uncover a treasure stolen by the Nazis and the truth about the murder of the last Russian royal family. All too soon, the treasure hunt starts to smell like a Lucian trap. But the bait might just be irresistible . . . what will Amy and Dan risk to find out what really happened on the night their parents died? palace.” “I can’t help it if you tried to break my neck getting in here!” Dan stood up and tried to put pressure on his knee. “I’m going to have a monster bruise, but everything’s still working. Where to now?” “The main floor in the east wing,” said Amy. “This way.” Amy had already scanned the guidebook and figured out the general location of the Rasputin exhibit. They passed through darkened rooms filled with expensive art and furniture. “Looks like these royals liked nice stuff,” said Dan. flipped through, she came upon two tickets tucked between the pages about a certain city. “Two airline tickets for Volgograd, Russia, with our names on them,” she said. Amy looked at her watch. “Leaving in one hour. Why would anyone think we’re stupid enough just to hop on a plane to Russia?” “Check this out!” said Dan. There was one more thing at the bottom of the box, and as far as Dan was concerned, it was the best item of all. He held up a shiny new Visa gold card with his name on it.